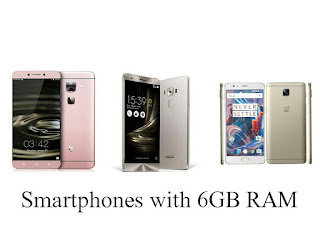 The smartphone makes are have smartphone launching phones with 6/8/10/12GB RAM. 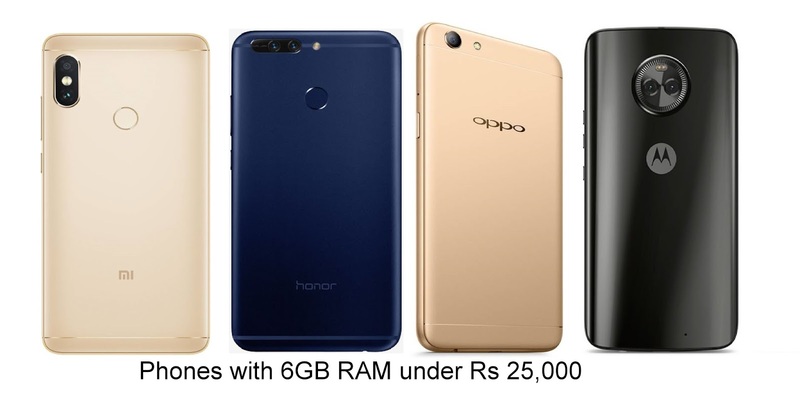 Now you don't need to Buy Flagship phone to get 6GB of RAM. Here are Top Phone with 6GB RAM Phone to buy in India under Rs 20,000. Xiaomi Redmi Note 6 Pro has a 6.26-inch Full HD+ resolution with a 19:9 aspect ratio powered by Qualcomm Snapdragon 636 processor with 4/6GB of RAM and 64GB internal storage. On Camera, it has a 12MP 1.4μm, f / 1.9 aperture main Camera Secondary 5MP1.12μm, f / 2.2 aperture with Dual pixel autofocus It comes with EIS Support and a 20MP + 2MP dual-camera with an aperture of f/2.0, AI portrait mode support, and AI face unlock. Packed with a 4000mAh battery. Asus Zenfone Max Pro M2 comes with 6.26-inch full HD+ display with Corning Gorilla Glass 6 powered by an octa-core Qualcomm Snapdragon 660 AIE processor with 3GB RAM, 32GB Storage,4/6GB of RAM with 64GB of storage. On Camera, It has a 12MP + 5MP dual-camera setup. The primary 12MP Sony IMX486 sensor will be coupled with an f/1.8 aperture and 13MP front-facing camera with f/2.0 aperture. Packed by a 5000mAh Battery. Honor 8X has a 6.5-inch Full HD+ display with a 91% screen-to-body ratio powered by Kirin 710 Processor. It has a 4GB RAM with 64GB storage, 6GB RAM with 64GB / 128GB internal storage On Camera, It has a 20-megapixel rear camera with LED flash, AI scene recognition that can identify up to 500 scenes, and a 2-megapixel secondary camera to capture depth information in portrait shots and a 16-megapixel front camera Packed by a 3750mAh battery. Honor Play has a 6.3-inch Full HD+ 19:5:9 display with a notch powered by Kirin 970 10nm processor with 4GB/ 6GB of RAM and 64GB of internal storage. On Camera, it has a 16-megapixel rear camera, 2-megapixel secondary rear camera for portrait shots and a 16-megapixel front camera. Packed with a 3750mAh battery with support for fast charging. Vivo V9 Pro has a 6.3-inch FHD+ 19:9 2.5D curved glass display with a notch, 90% screen-to-body ratio and 1.75mm slim bezels powered by Snapdragon 660 AIE with 6GB of RAM and 64GB of internal storage. 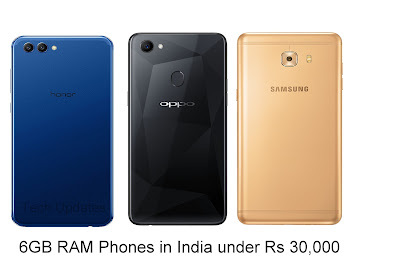 On camera, It has a 13-megapixel rear camera along with a secondary 2-megapixel rear camera for AI portrait shots and a 16-megapixel front camera Packed by a 3260mAh battery. 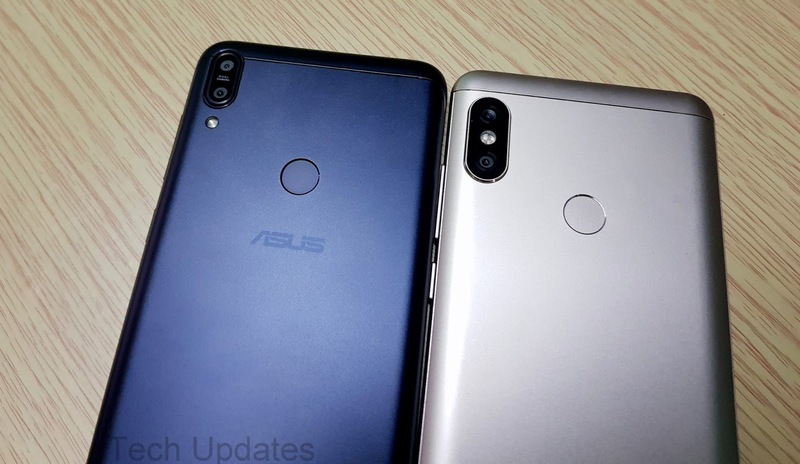 Asus Zenfone Max Pro M1 has a 5.99-inch (2160×1080 pixels) Full HD+ 18:9 display powered by 1.8GHz Octa-Core Snapdragon 636 14nm Mobile Platform with Adreno 509 GPU. It has a 6GB RAM with 64GB storage. On camera, it has a 16MP rear camera with LED Flash, PDAF, 1.12μm pixel size, secondary 5MP camera, and 16MP Front Camera. Packed with a 5000mAh battery.